The Flowmaster Outlaw Exhaust for Camaro V8 SS is available in an axle back or cat back exhaust system to give you the best power available with a nice, aggressive exhaust tone. 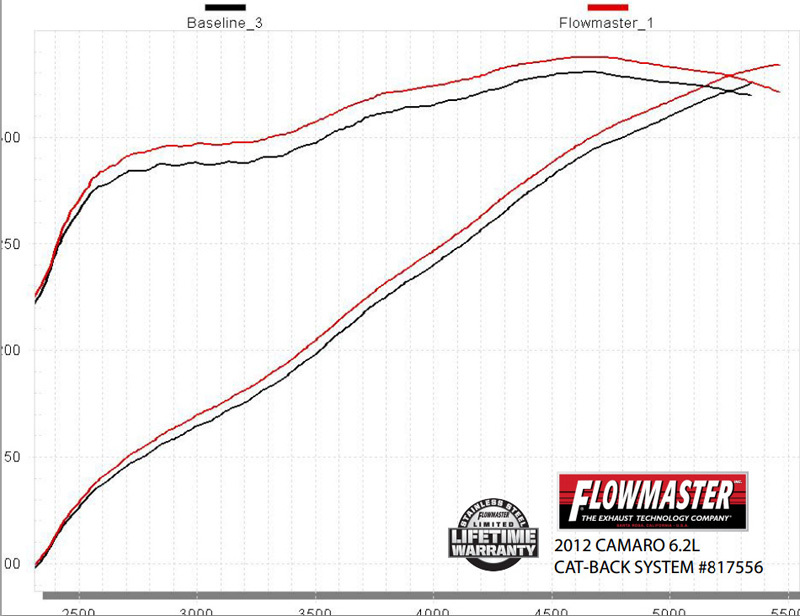 The Flowmaster Outlaw Exhaust will give the Camaro SS a race-inspired, aggressive tone. Available as an axle-back or full cat back exhaust system, the Flowmaster Outlaw Exhaust for Camaro SS will give your car an increase in power with an aggressive exhaust tone. 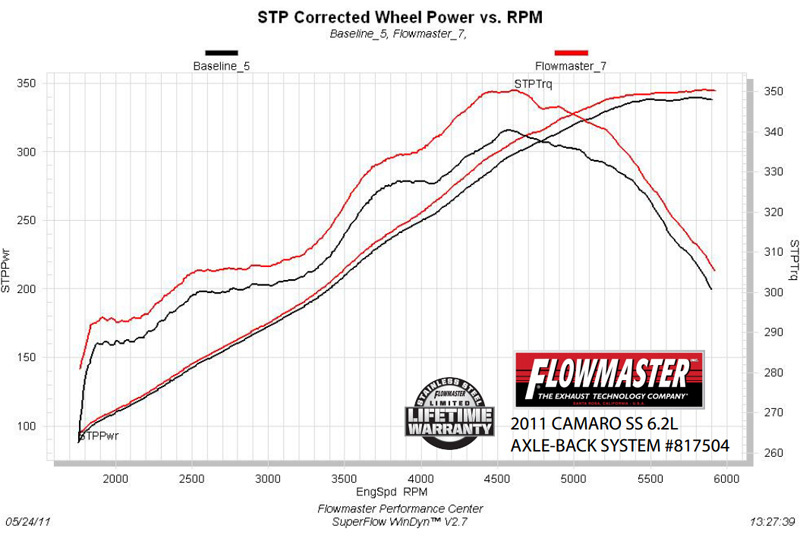 You will see significant power gains, improved throttle response, and better gas mileage on the Camaro SS after installing the Flowmaster Outlaw Exhaust. This exhaust is made from high quality, 16 gauge, 409 stainless steel tubing to ensure that you are getting the best quality products for your Camaro SS. The Flowmaster Outlaw Exhaust for Camaro V8 SS is 100% fully bolt-on and utilizes the factory exhaust mounts for easy installation.